Whether you live an active lifestyle or not, bath salts should be a part of your weekly routine! It's no secret why celebrities and athletes have turned to the sacred salts for a number of reasons, and I'm hopping on the train. WestLab's Supersalt collection is an absolute trifecta. These three essential-oil infused salts contain the key ingredients to nourish, moisturize and revitalize your body. 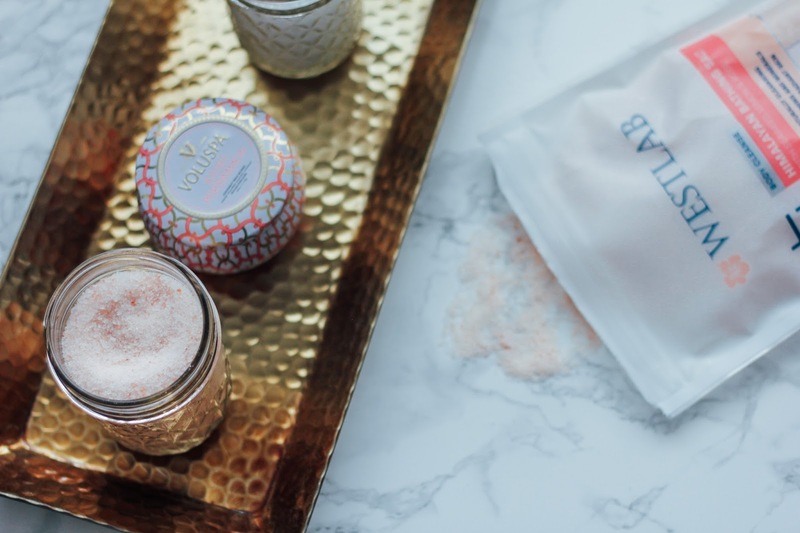 When it comes to bathing salts, the benefits are endless. But, if you're interested in trying out the trend, I've got five great reasons you should scoop some up. Soothing baths help melt away the day's stress - bonus points if wine is involved! 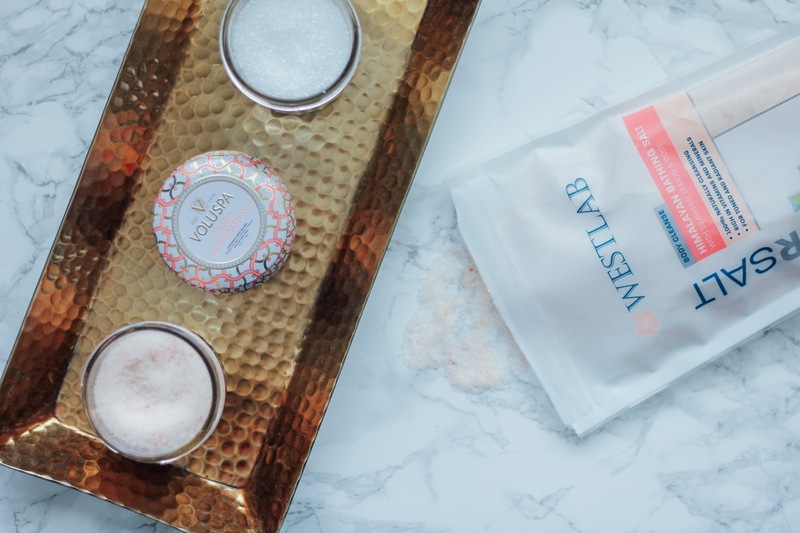 Whether you're looking to detox with a Himalayan salt bath, nourish and moisturize with Dead Sea salt or relieve the body of fatigue with Epsom salt, WestLab's salt combinations are sure to do the trick. As an avid runner and cyclist, a salt bath is the perfect way to de-compress before or after a race or cycle session. As I mentioned above, Himalayan salt is one of the best when it comes to detoxifying the body to leave your skin looking as radiant as ever. Every day we expose ourselves to so many toxins - yuck! When we bath in a Himalayan pink salt solution, we pull these toxins out of our skin through a process called reverse osmosis. Did I mention that WestLab's blend of Himalayan salt with vitamins and minerals like Seaweed, Lemon and Rose also smells like heaven? This my friends is one of the BEST reasons to indulge in a salt bath. After running races, long days at work or an intense home workout, an Epsom salt bath is just what the doctor ordered. With a blend of Arnica, Spearmint and Eucalyptus, this Epsom salt is the cure for tense muscles and increasing the blood flow around the body. Salt has properties that are amazing for soothing and/or treating numerous skin conditions. Ever wonder why your acne slightly fades after a day at the beach? 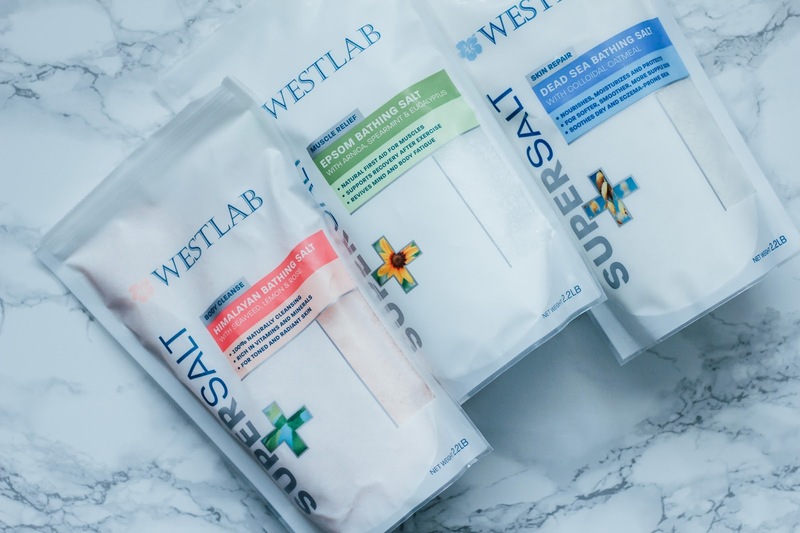 All three of WestLab's Supersalt combos contain ingredients to help conditions like acne-prone skin, redness, inflammation, dryness and dullness. Probably one of the least-expected usages for salt baths... trimming your waist! I've discovered that celebrities are turning to Epsom and Himalayan salt baths before big events to combat water retention and bloating. These salts work by drawing water (and toxins) out of the body resulting in a temporarily slimmer waist/reduced thigh size. Word on the street is that a quick 10-minute bath with these salts is all you need! If I haven't convinced you to pick up some salts next time your out shopping already, these WestLab Supersalts are available at select Walgreens locations nationwide and cost less than $15 each. That's right... grab your car keys. Have you tried salt baths before? Share your experience below for everyone to read! Thank you to WestLab and The Dana Agency for sponsoring this post. All opinions are my own. You had me a de-stress! These look like a must try!